Central Asia is a region of Asia from the Caspian Sea in the west to central China in the east, and from southern Russia in the north to northern India in the south. It is also sometimes known as Middle Asia or Inner Asia, and is within the scope of the wider Eurasian continent. Various definitions of its exact composition exist and no one definition is universally accepted. Despite this uncertainty in defining borders, it does have some important overall characteristics. For one, Central Asia has historically been closely tied to its nomadic peoples and the Silk Road. As a result, it has acted as a crossroads for the movement of people, goods, and ideas between Europe, West Asia, South Asia, and East Asia. 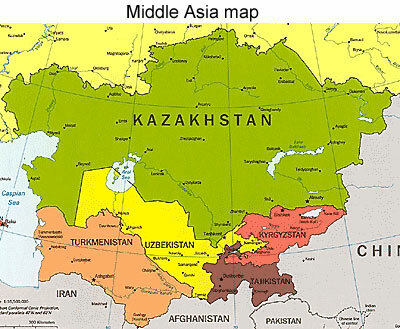 In modern context, Central Asia consists of the five former Soviet republics of Kazakhstan on the north, Kyrgyzstan on the northeast, Tajikistan - is situated to the southeast, Turkmenistan, which spreads from the Caspian Sea to the middle reaches of the one of the largest central Asian rivers, the Amu-Darya (Vahsh in ancient times, Oxus in Greek, and Jeihun in the Middle Ages); and Uzbekistan, located in the lower region of the Amu-Darya River. Uzbekistan covers the central area between the two rivers (called Maverannahr in the Middle Ages) i.e. the lands between the two biggest central Asian rivers, the Syr-Darya and Amu-Darya. Other areas are often included such as Mongolia, Afghanistan, northern-Pakistan, north-eastern Iran, north-western India, and western parts of the People's Republic of China such as Xinjiang. South-western and middle China such as Tibet Autonomous Region, Qinghai, Gansu and Inner Mongolia, and southern parts of Siberia may also be included in Central Asia. However, on OrexCA.com portal in our materials in the English language we will use the term "Central Asia" only in respect of the five countries: Uzbekistan, Kazakhstan, Kyrgyzstan, Tajikistan, Turkmenistan. Other regions, which are geographically part of Central Asia, will be referred to as "Central Asian part of this or that country". For example, we may be writing about "Central Asian part of China" or "Central Asian part of India" and so on. During pre-Islamic and early Islamic times, Central Asia was a predominantely Iranian region that included sedentary Sogdians, Chorasmians and semi-nomadic Scythians, Alans. The ancient sedentary population played an important role in the history of Central Asia. Tajiks, Pashtuns, Pamiris and other Iranian groups are still present in the region. 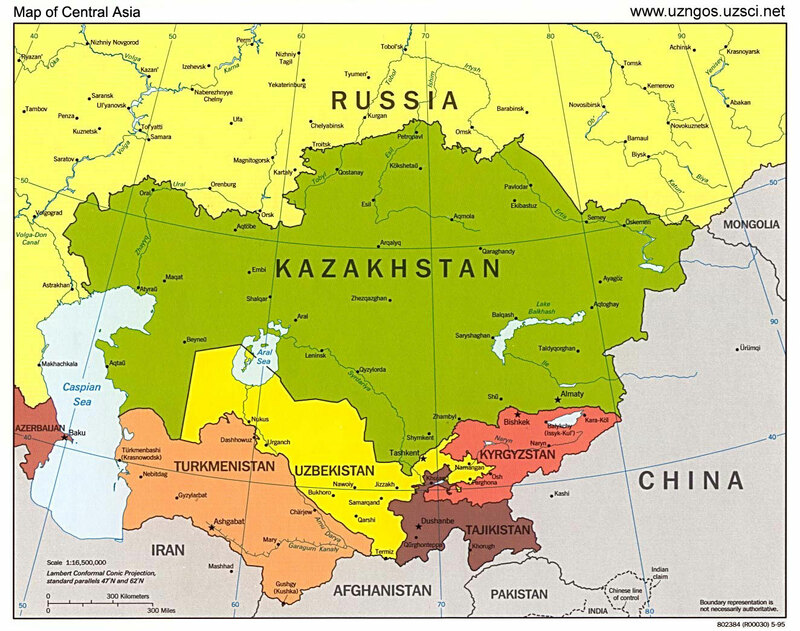 After expansion by Turkic peoples, central Asia became also the homeland for many Turkic peoples, including the Uzbeks, Kazakhs, Kyrgyz, and Uyghurs, and Central Asia is sometimes referred to as Turkestan. The desert areas and steppes of Central Asia are characterized by their continental climate and intensive isolation, extreme aridity, and sparse precipitation. Their remoteness from oceans, the major humidity source, little atmospheric precipitation, and high summer temperatures which created prolonged droughts, caused the formation of the vast desert regions here. Begin your journey through Central Asia! You will see splendid architecture, feel at one with stunning wilderness, feel the hot wind of deserts and admire dazzling mountain summits. Look into the past and you will see the present reflected. Have a happy trip along Central Asia travel along The Great Silk Road with OrexCA.com!